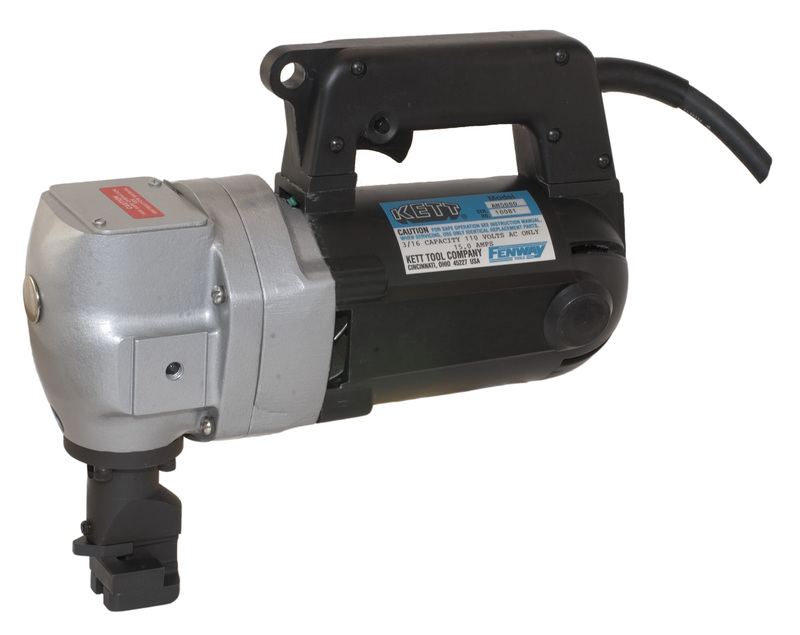 The EHN Electric nibbler provides beefed-up cold cutting performance and portability. The 2 horsepower 15 AMP motor cuts C.R. mild steel to 3/16" and most grades of stainless to 10 gauge at a radius of 8".